← WILL STATE ALLOW FIRM TO POISON DETROIT? EMAIL MDEQ BY OCT. 12 TO OBJECT! ‘NEW ERA DETROIT’ YOUTH ORGANIZING IN LARGEST BLACK-MAJORITY CITY IN U.S.
With a $1.3 trillion buying power, Black people are the leading consumers compared to every other race. In a country built on capitalism, where “MONEY IS POWER,” one would think that Blacks in America would control everything with that amount of money, but we DON’T! In fact, Blacks are last in EVERY racial disparity, except consuming. In this NEW ERA, this generation is open to the most resources ever available in HISTORY. There is also a never before seen amount of Black millionaires. Meaning, the Blacks living today are the most informed, most equipped, most experienced, and most qualified to rid those disparities and better our people’s lives. NEW ERA DETROIT (NED) plans on using those RESOURCES, that MONEY, and that POWER to take back our communities and start up a SOLELY BLACK-OWNED COMMUNITY. We’re aiming to create black owned and operated schools, banks, grocery stores, hospitals, law offices, recreation centers, and more! A community is not one without U-N-I-T-Y. NED is committed to uniting our race with tactics never before used. We are dedicated to eliminating the separation between the Black older and younger generations, Black-owned businesses and Black consumers, and Blacks of different religious groups. Once we, AS A PEOPLE, accomplish becoming a COMMUNITY, Blacks in America will have the POWER our ancestors had in Ancient Africa. (3) “My Conversation with Mr. James Boggs.” James Boggs was an Author, Activist, and was my close friend, RIP James. 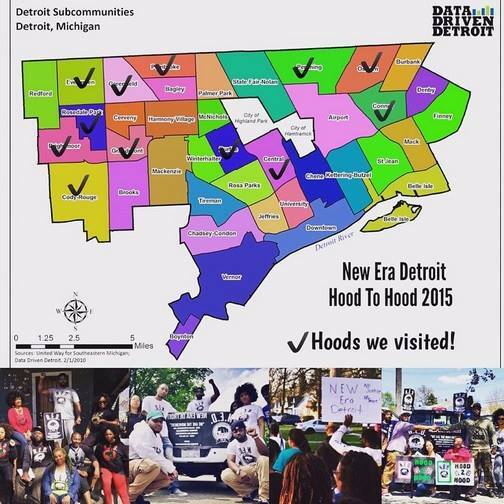 This entry was posted in Uncategorized and tagged Detroit, HoodToHood2015, NewEraDetroit. Bookmark the permalink. 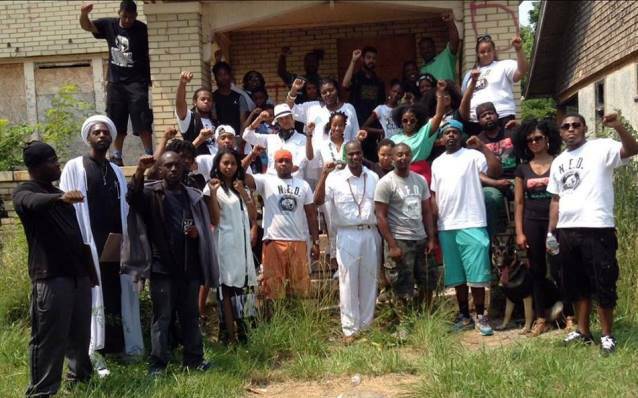 One Response to ‘NEW ERA DETROIT’ YOUTH ORGANIZING IN LARGEST BLACK-MAJORITY CITY IN U.S. 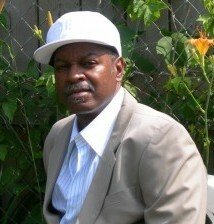 I would like New Era Detroit to visit the lower east side neighborhoods. From Jefferson to I 94 and from Van Dyke to Chene.